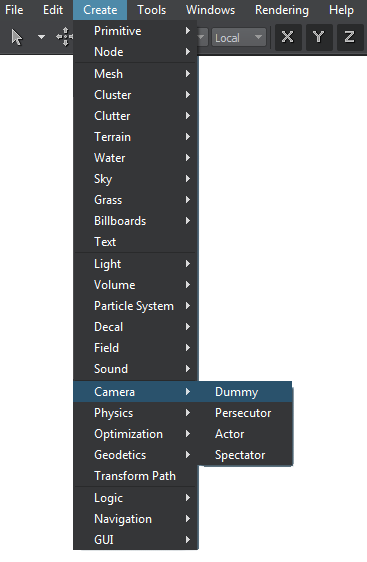 In the Player Dummy tab, you can adjust the bit masks and viewing frustum parameters of the dummy player. 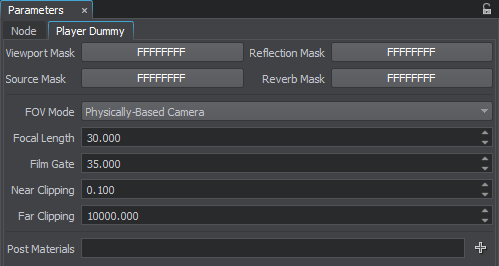 In the Materials parameter field, you can add postprocess materials to the camera. They will be applied after all other postprocesses (such as HDR, DOF, etc.) are applied. Add a postprocess material from the dialog window to the materials list by using the .